The Land Use Colonia Housing Action (LUCHA) initiative is a partnership of organizations and organized colonia residents to build leadership capacity, expand technical knowledge, change land use and development policy, and build relationships between colonia residents and local, state and federal authorities. The goal of the LUCHA initiative is to build power by supporting community organizing efforts, inform colonia leaders on key issues, and provide opportunities for engaged conversations with regional experts. 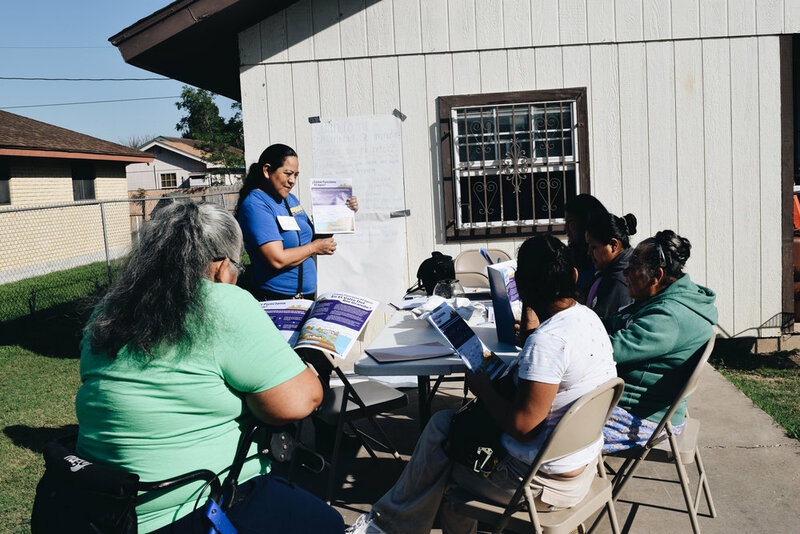 LUCHA began in 2015 as a collaboration between different organizations and residents within the Rio Grande Valley. Since 2015 more than 200 people have participated in the program. These organizers continue their collaborations with LUCHA within their communities and fighting for a better quality of life within their neighborhoods. If you would like to learn more about the LUCHA program or learn how to get involved you can send a message here.